In the tag “title” should be placed the content, and in the tag “link” should be placed a link that will be attached to the content. 2. 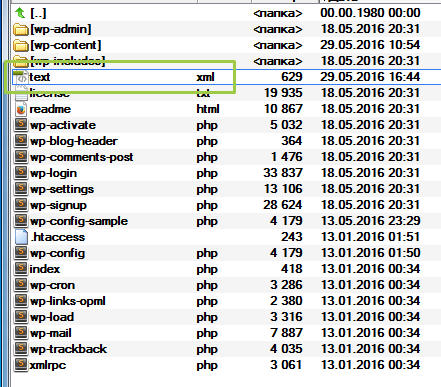 Place the XML file in the folder of the site using FTP. 3. Go to page editing. 4. Select the type of “Visual” In the visual editor. 5. Place the cursor to the place where will appear the ticker. 6. 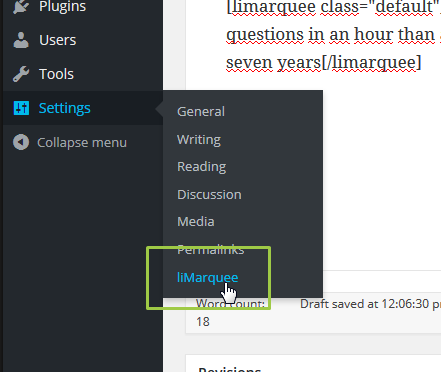 Click on “limarquee” button. Use this button to add a short code to the place where the cursor is. 7. After pressing the button you need to specify the class name. Enter any unique name using only the characters of the Latin alphabet and numbers. The name must begin with a letter. 8. 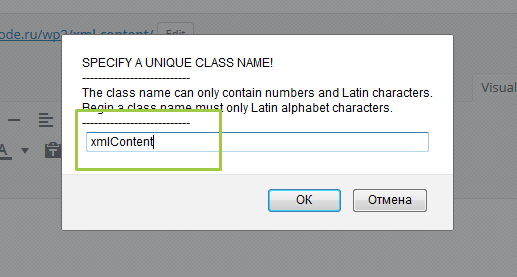 In the editor, you will see a shortcode with attribute “class”. 9. Save your changes on the page by clicking the “Update” button. 11. 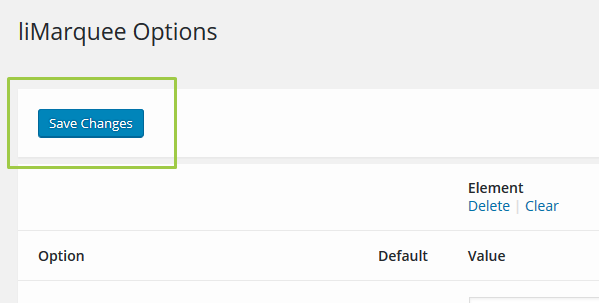 In the plugin settings page, enter the name of the class that you added earlier in the visual editor. 12. 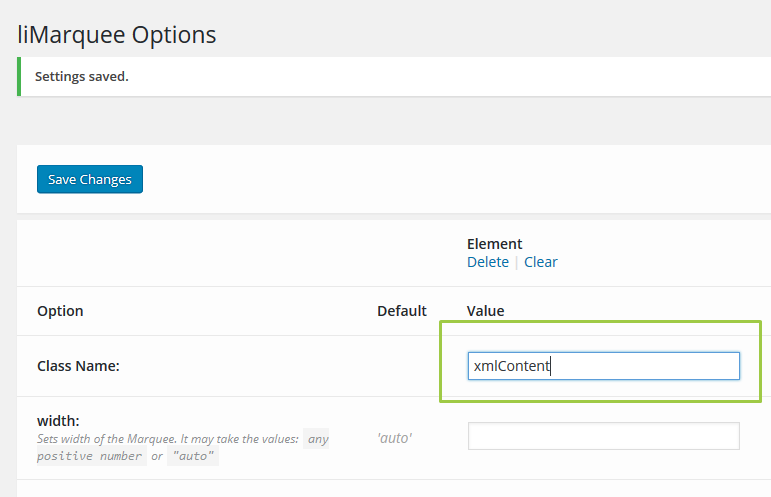 Add the path to the XML file in the field “xml”. 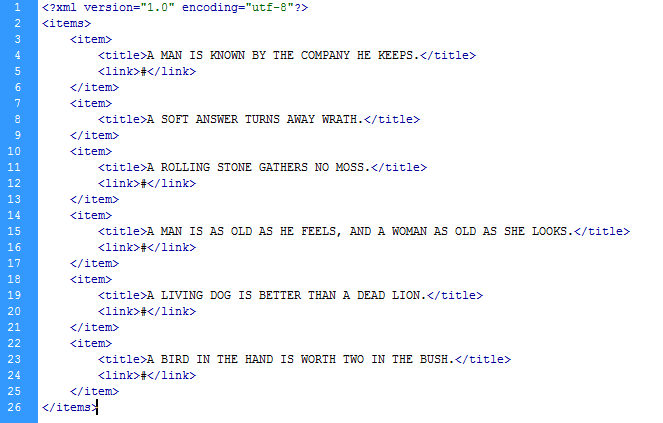 Slash in front of the string indicates that this path is a “relative” relative of the site address. 13. Save your changes by clicking on “Save Changes” button. 14. Go to the page in which you inserted a short code and update it.